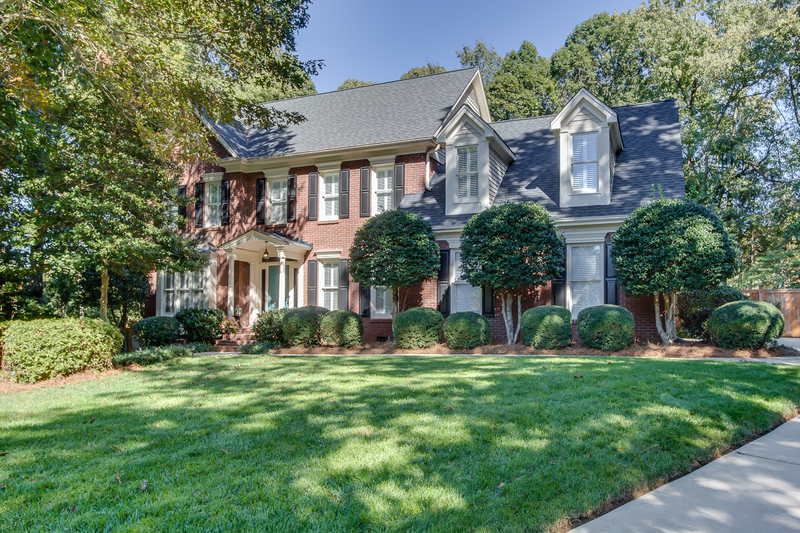 Traditional Brick Southern Charm nestled at the end of a quiet, tree-lined cul-de-sac on 1 acre in the hidden jewel community of Hampton’s Grant in Simpsonville. 4-bedroom, 2 ½ bathrooms, wired theater bonus room, trey and vaulted ceilings, crown molding, bay windows, plantation shutters, gas-log fireplace and built-in bookcases with natural light galore! 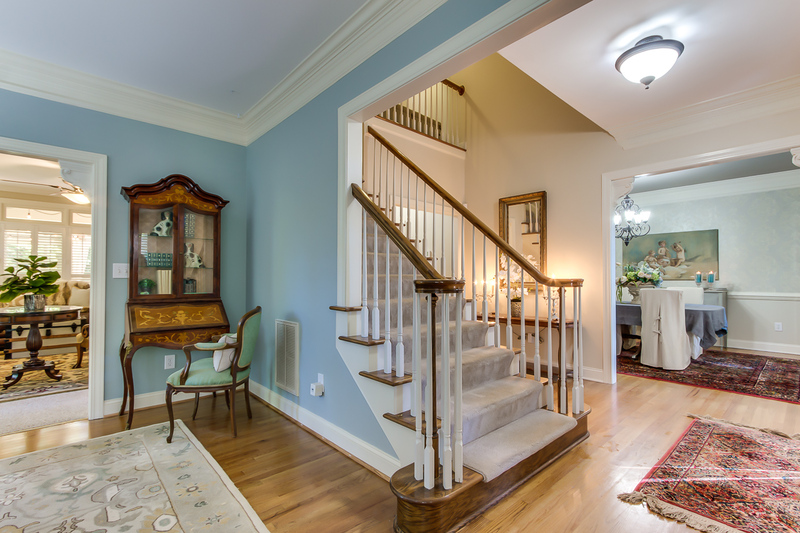 Over 3200 square feet of spacious elegance with natural oak hardwood floors, handsome fixtures, and fresh Sherwin Williams paint throughout. Special features include: new Gutter Guard system, over-sized rear quintessential screened-in sleeping porch, all-new stone and lantern-lit courtyard, grilling and fire-pit area, irrigation system, separate laundry/mudroom with sink, front entry and rear entry staircases, wooded yard, privacy fence with custom iron scroll gate. In the garage you’ll find the pièce de résistance: a wall bank of organization and storage with 2 work benches. 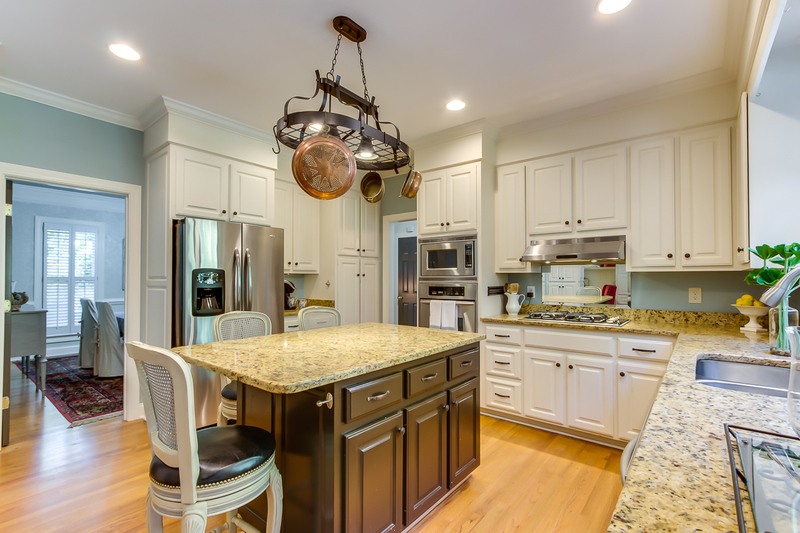 The heart of this home is the cozy-modern kitchen with stainless steel gas range, stacked ovens, center island with pot rack, coffee nook, wood cabinetry, under cabinet lighting, granite countertops, pantry, and a window overlooking the gardens. The bay-windowed breakfast room also boasts an office nook. The open floor plan downstairs allows for friend and family togetherness and the private spaces are all tucked away upstairs. The Master Bedroom includes His and Hers closets with custom organizational systems. The en suite bath has stand-in shower, Jacuzzi garden tub, double sinks, and trey ceiling. It’s a safe, quiet pet-friendly walkable neighborhood with winding, shaded roads and friendly neighbors. Country living with convenient city advantages (shopping and dining, and downtown Simpsonville is just 2 miles away). The home you’ve been waiting for has finally been listed. Come meet your new home, it will not last long! The thing I love about Simpsonville is that it is a popular, up and coming area with a small town feel. Historic downtown Simpsonville has fun shops and restaurants, including the famous Ice Cream Station where old friends gather and new friends are made. Apart from the downtown area is a shopping district where you can find everything from Hobby Lobby to Home Depot and beyond. 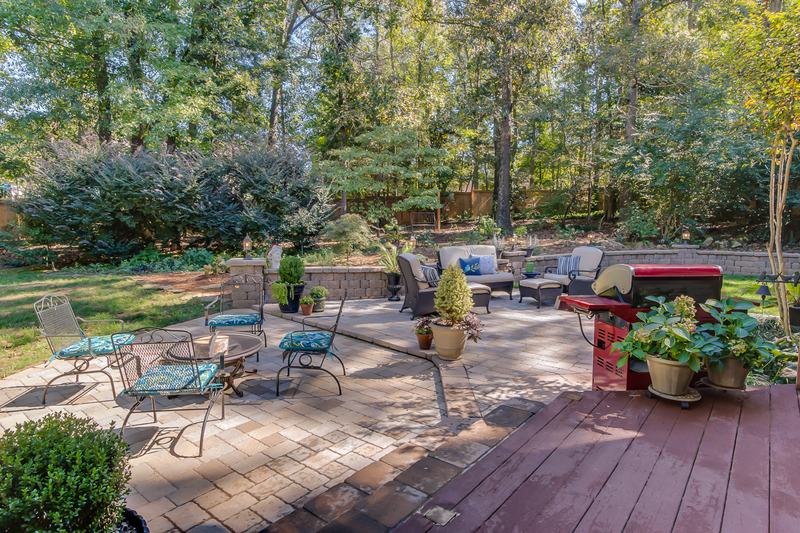 We are a short 20 minute drive from the many amenities of downtown Greenville, but feel like we live way out in the country when we make our way home again. Simpsonville is a beautiful place to live. Our neighborhood, Hampton’s Grant, is great because of its people. Our first week here we had several people make the effort to come to our door to welcome us and to see if there was anything they could help us with. People not only care about each other but they care about maintaining the beauty of the neighborhood and keeping our families safe. The homes here are all custom built executive homes and the lots are all around one acre and wooded which affords great privacy. This is the best neighborhood I’ve ever been a part of. We love to eat at Papas and Beer (their tableside guacamole is the best), Stella’s Southern Bistro for fine dining, Ice Cream Station for dessert. There are a huge number of restaurants to choose from! Grocery stores are plentiful in Simpsonville. Publix, Bi-Lo, and our newest addition, Lowes Foods, which is a store worth taking out-of-town guests to. Fabulous! When we first drove into the neighborhood to view our property, we were stunned by the beauty of the homes and the mature trees and landscaping. There were so many aspects of our particular property that we loved. The one acre fenced yard, the huge private screened porch, the hardwoods, the granite, the high ceilings and the double crown moldings. I also loved the plantation shutters throughout the house, His and Hers closets in the master bedroom, the double staircase, and the abundance of storage. When we walked into the house, it immediately felt like home. The Greenville/Simpsonville area is wonderful! There is so much culture with Broadway shows, an orchestra, and other live local theater, free events in the park, our own hockey and baseball teams, outdoor activities such as hiking and fishing, and close proximity to the mountains and lakes. A few other things I love about this area are the many days of sunshine per year. We have a long warm weather season and a very short winter. This means beautiful foliage and a long blooming season for optimum outdoor living. We enjoy living here because we can make day trips to larger cities like Atlanta or Charlotte for shopping or to attend professional sporting events, or out to the ocean beaches for a weekend getaway. There are things to do here for everyone, no matter their interests, but some of the things we enjoy are driving in the mountains and along the Blue Ridge Parkway, boating on some of the most beautiful lakes in the country such as Keowee and Jocassee, are spending the day in Falls Park on the Reedy River and then choosing one of the hundreds of fantastic restaurants in which to dine. We have found our utilities to be surprisingly low here compared to where we used to live, in the Pacific Northwest. We are currently serviced by Greenville County Water, Laurens Electric, and Piedmont Natural Gas.